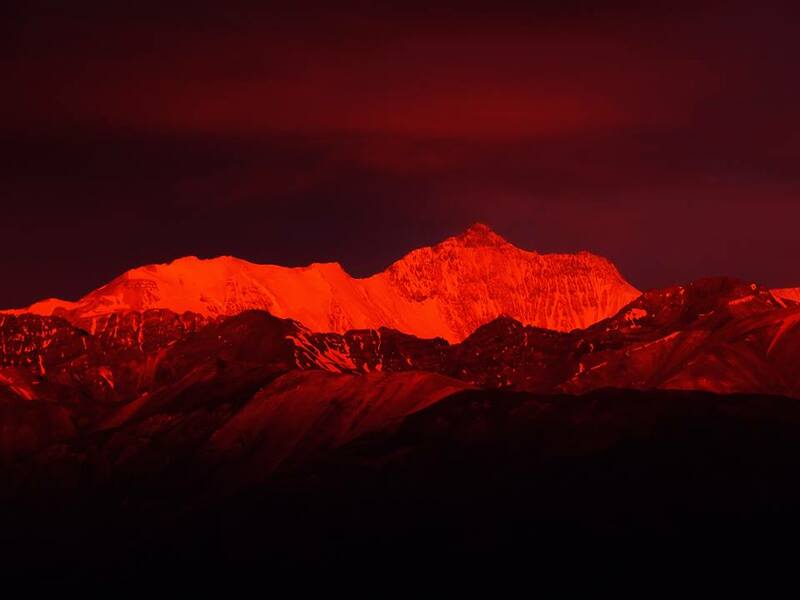 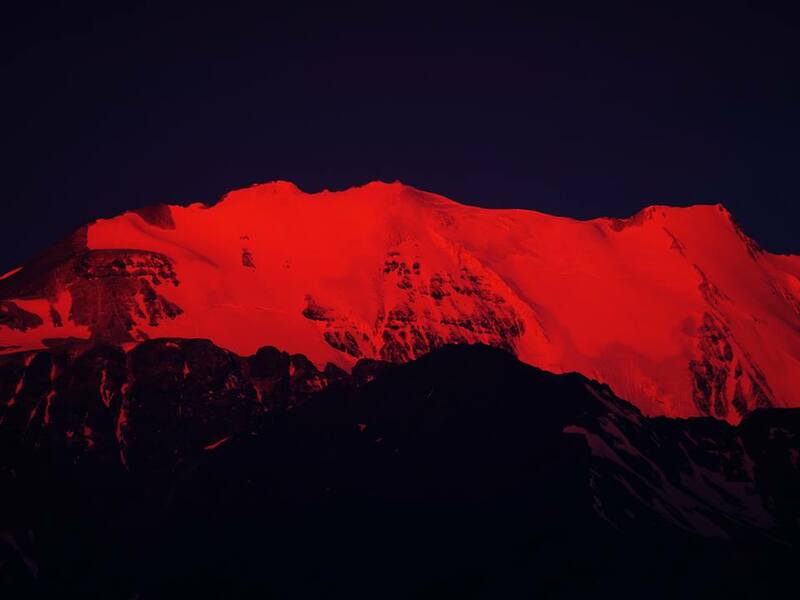 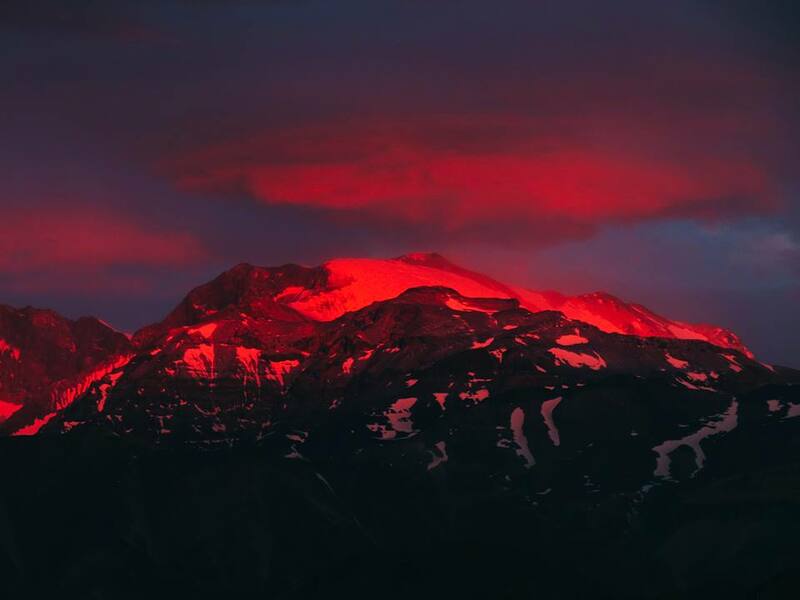 Sometimes, blood red snow appears on mountain tops in Chile and around the world. 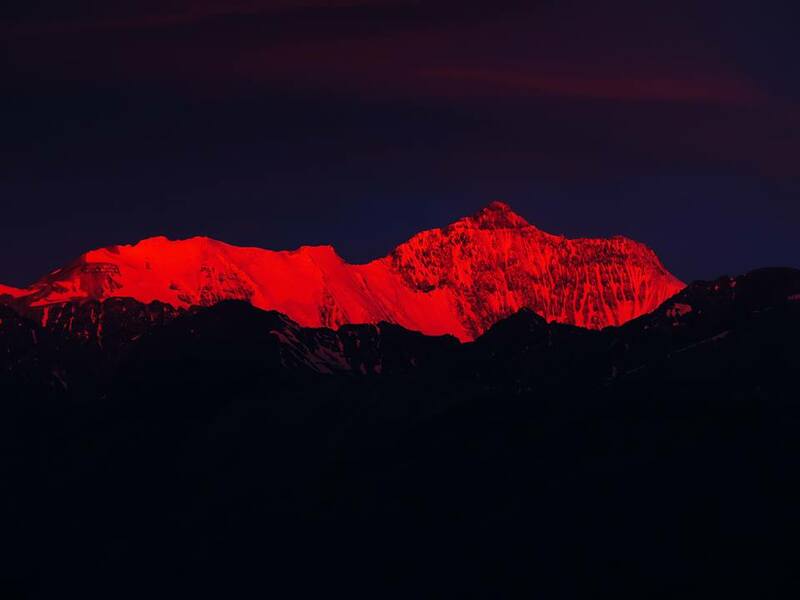 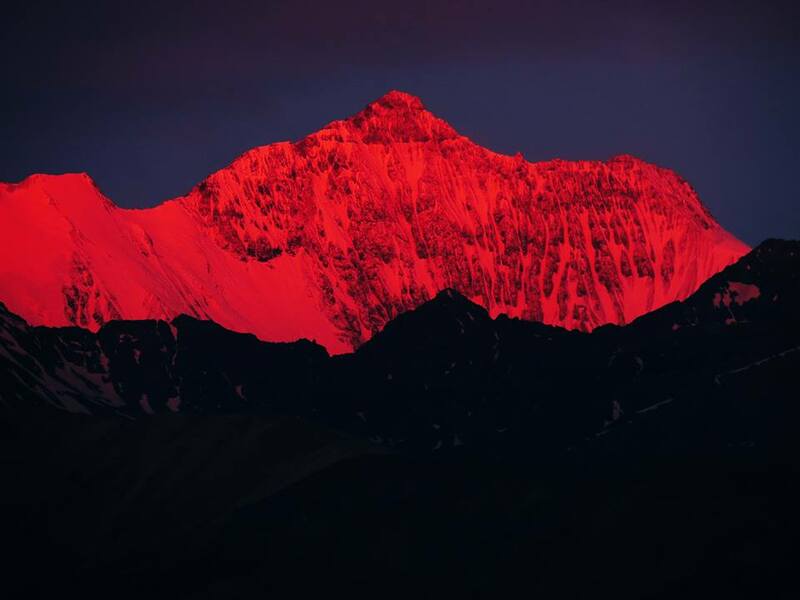 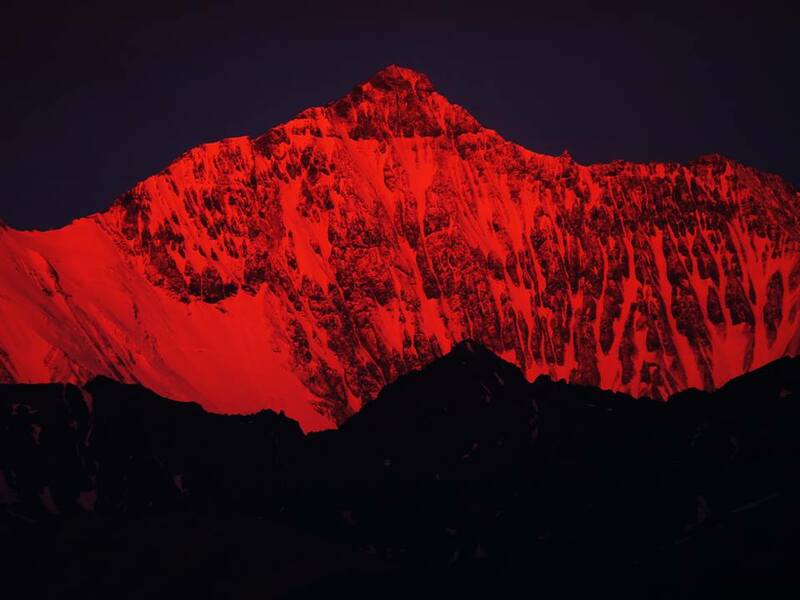 This blood red mountain is 5222 meters high. 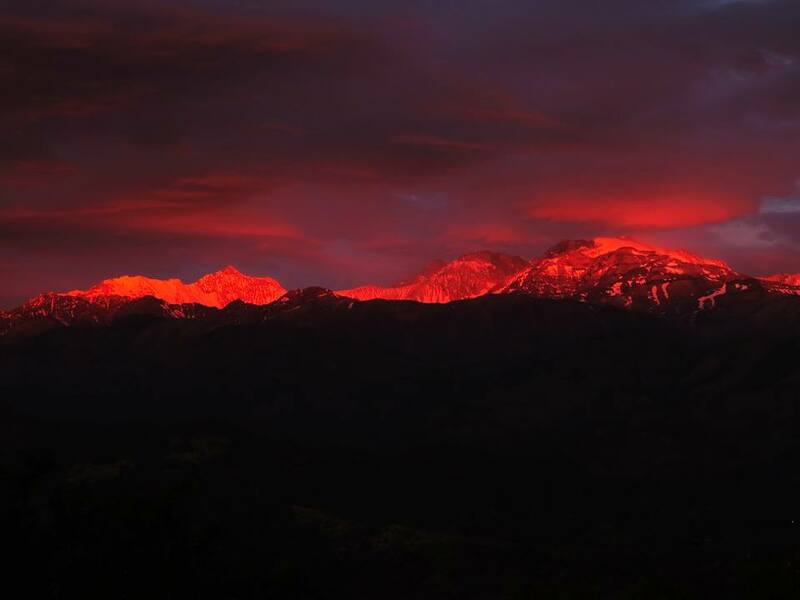 You feel the power of these sun beams illuminating Mount Paloma and Altar? 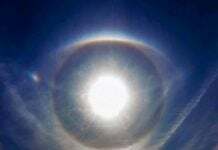 And the sun disappears second after second. 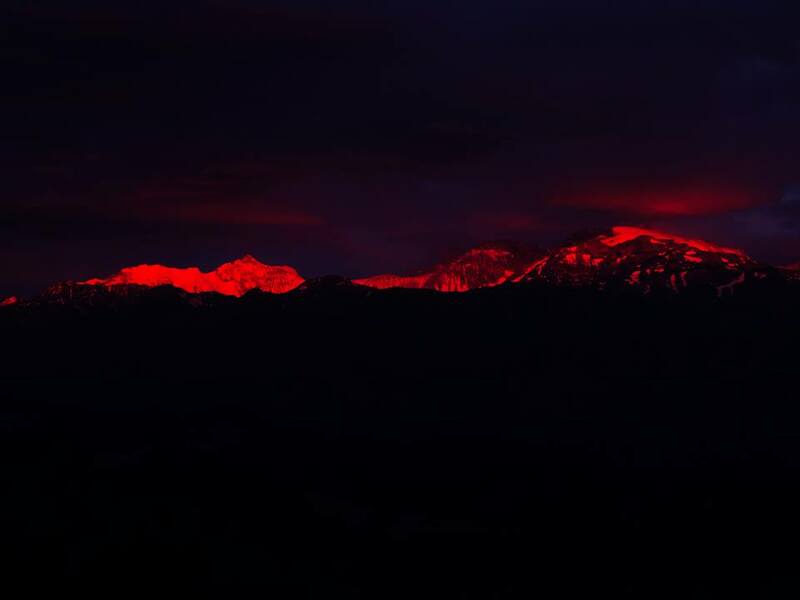 Capping only the top of these monsters with fiery colors.